With these words, Bro. 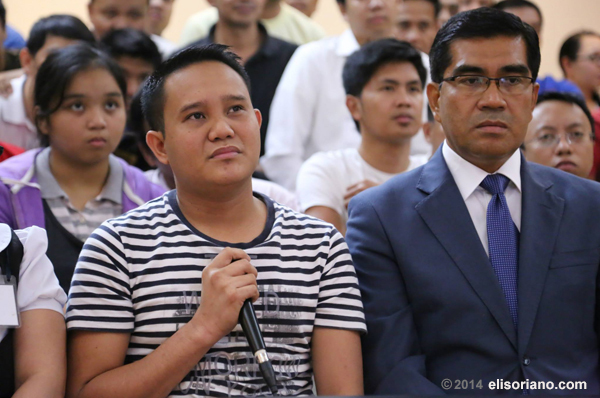 Eli Soriano welcomed attendees and viewers of the Ang Dating Daan Worldwide Bible Exposition on May 9, 2014. The Ang Dating Daan radio-television program host even encouraged everyone to ask questions to all preachers – including himself – to investigate if the preaching is true. “How can you test them if they’re hidden?,” asked Bro. Eli as many preachers today are not showing themselves to people. He added that he was baffled when preachers hide, which is a sign that they’re not following the examples shown by Christ. In return, every preacher has a responsibility to answer truth-seekers and those who ask them questions. “If a preacher does not want to be asked, he’s a liar,” Bro Eli added, saying because it is commanded for people to ask them. “Our countrymen, you can ask us. All you need to do is go to our Bible Expositions, you can investigate, you can disagree, whatever you want to clarify, we’ll talk about it,” encouraged Bro. Eli. It is the question-and-answer segment of the Bible Exposition that draws people from all walks of life attend the event, and ask the international evangelist live. In the past, some even used platform to throw debate challenges versus Bro. Eli. Why do women in Ang Dating Daan dress modestly? What is the difference of the Church of God compared to other religions? Should men pray to graven images? These were among the 11 questions answered by Bro. Eli during the three-hour run of the Bible Exposition. Before the 1980s, Bro. Soriano’s evangelization efforts were limited to folk media. Beside the scarce resources, town-to-town symposiums seemed the most feasible due to the absence of modern technologies that would facilitate multi-point communications across different locations locally and abroad. Back then, there were times Bro. Eli and his group would only use street lights and a makeshift setup stage in preaching the words of God nightly. Some townspeople accepted Bro. Eli’s preaching, but others did not. There were even those who cast him stones for preaching and exposing the wrongdoings and malpractices of many religions. These days, through the use of communication technologies, Bro. Eli’s audiences are not only limited to people from the barrios. There were thousands in attendance on May 9’s Bible Exposition in key coordinating centers locally and abroad. The recently-held live Bible-based symposium event was organized as such by the Members Church of God International (MCGI) organizes for the preacher’s constituents in the Philippines, Asia, Africa, Europe, and Australia. MCGI also holds regular Bible Expositions for Bro. Eli’s constituents in the North, Central and South Americas, where the event is served inEnglish, Spanish and Portuguese. Satellite technologies and video conferencing make possible the live interaction between the participants and Bro. Eli, despite their different locations and timezones. 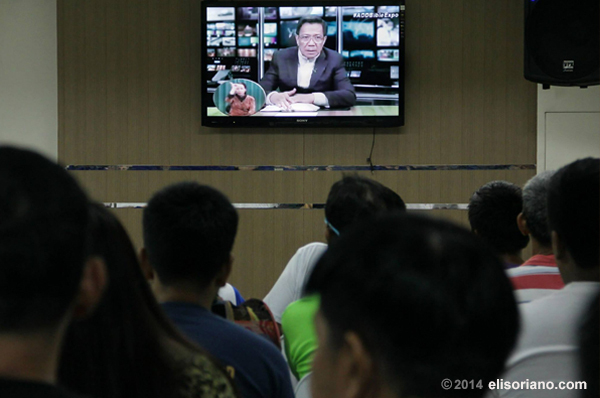 MCGI, which is more popularly known by its Ang Dating Daan radio-television show in the Philippines, opens its 1,334 satellite remote points during its regular Bible Expositions. Following the examples set by Christ, Bro. Eli opens himself to people, letting them ask him anything, using the Bible as the basis for his answers.